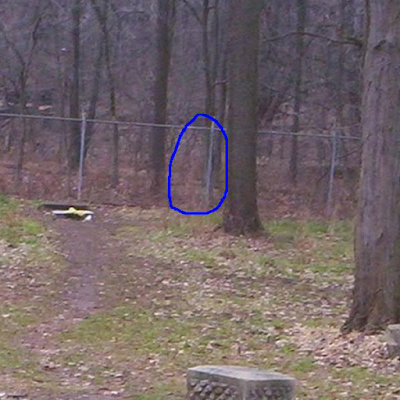 This photo was taken in the late afternoon of Saturday November 25th, when the Central Illinois Ghost Investigators took a trip to the famous Bachelor's Grove Cemetery in Chicago Illinois. As usual, we saw nothing with the naked eye. But we feel that this picture has too much detail to be just an illusion. We just wish that we could have been a little closer to her when the photo was taken.